He’s bringing his talents from San Jose to Toronto, a veteran forward who holds a host of top Sharks marks. Patrick Marleau now joins a Maple Leafs team that features some of the best young players in the game, including Auston Matthews, Mitch Marner and William Nylander. The Saskatchewan native, selected second overall in 1997, has four gold medals for Team Canada: two Olympic crowns (2010, 2014), one World Championship (2003) and one World Cup (2004). Here’s a look at some of Marleau’s most impressive numbers. The number (1,082) of points Marleau has tallied in 1,493 career NHL games and the number of points (199) he recorded in 143 career Western Hockey League games with the Seattle Thunderbirds. He is currently ranked 62nd for most career NHL points. 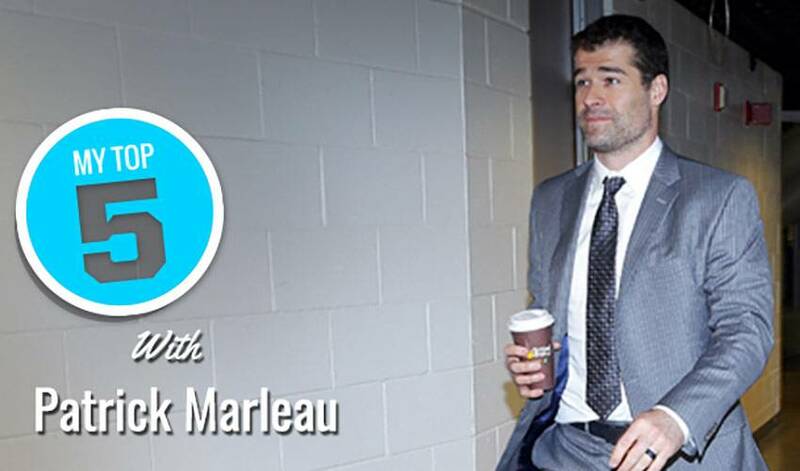 The total number of NHL regular season goals Marleau has registered, including a career-best 44 in 2009-10. He’s scored 30 goals or more seven times. The number of game-winning goals (98) Marleau has scored, including a career-high 10 in 2008-09, and the number (160) of power-play markers he’s totaled. The number of goals and points, respectively, Marleau has netted in the NHL playoffs, including 14 points in 11 games, in 2005-06. The number of playoff overtime goals Marleau has scored. His first came on April 25, 2009, at 6:02 of the first OT, in a 3-2 victory against Anaheim.